A sophisticated look, this table lamp comes with a faux marble base and an open frame design in metal. Elegantly designed with a faux marble base and an open frame construction, this table lamp is sure to update your decor. A chic white drum shade completes this look. 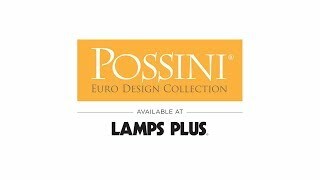 From Possini Euro Design. Overall: 30 1/2 " high. Shade is 15" across the top x 15" across the bottom x 10" high. Bottom base is 6" wide. Faux marble base. White linen shade. Includes 8-foot clear cord and plug. Net weigt 9.7 pounds.